A gorgeous cotton reversible dress with cute little Llama's on one side and a mint spot on the reverse. A sash that can be threaded through to be worn on both sides and popper openings at the shoulder. The 3-6m and 6-12m feature the trim ..
A pretty reversible girls dress with a mass of butterflies on one side and a soft cerise needlecord on the other Popper openings at the shoulder and a sash that can threaded through to be worn on both sides. 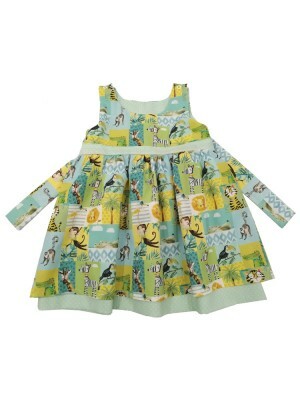 The 3-6m and 6-12m do no..
A fresh cotton Jolly Jungle reversible dress. A fun animal print on one side and a mint spot on the reverse. 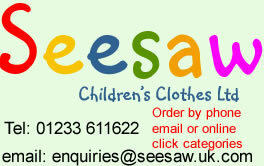 Featuring a sash that can be tied at the back and threaded through to be worn on the reverse. Popper openings at the should..
A beautiful reversible dress 100% cotton with a pretty floral print on one side and a flamingo print on the other. Popper openings at the shoulder and a sash that can threaded through to be worn on both sides. 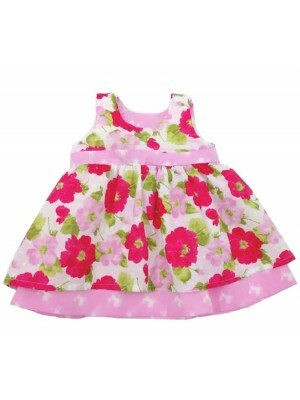 The 3-6m and 6-12m do not ha..
A pretty soft and floaty dress with a gorgeous floral on one side and a mass of little ponies on the reverse. Featuring a sash that can be threaded through to be worn on both sides and popper openings at the shoulder. 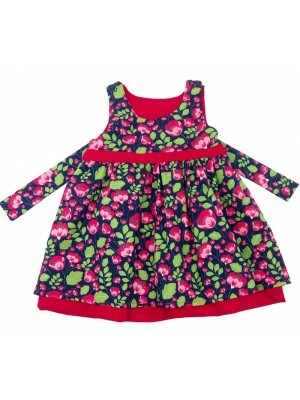 The 3-6m and 6-..
A gorgeous reversible red dress with a cotton floral print on one side and a soft needlecord on the other. Popper openings at the shoulder and a sash that can be threaded through to be worn on both sides. 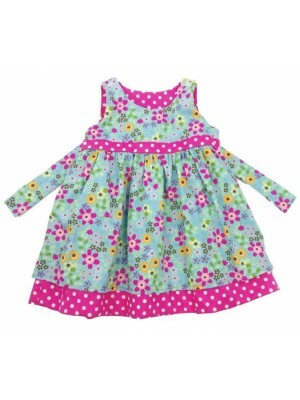 The 3-6m and 6-12m features a tri..
A happy garden friends print dress with a floral gingham reverse. Popper openings at the shoulder and a sash that can be threaded through and worn on both sides (3-6m & 6-12m feature the trim but not the sash). Fabric Content.. 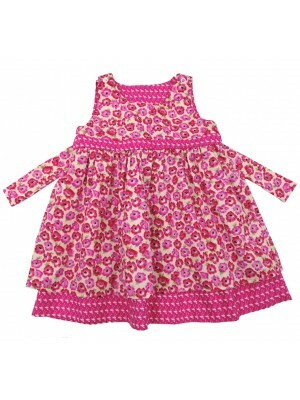 The cutest reversible dress with girls playing on the beach on one side and a red cotton on the other. A sash that can be threaded through to be worn on both sides and popper openings at the shoulder. 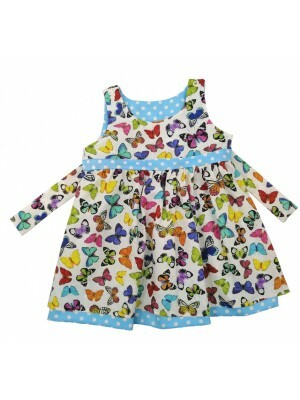 The 3-6m and 6-12m feature the trim b..
A vibrant butterfly print on one side of this reversible dress and a turquoise spot on the other. Features a sash that can be threaded through to be worn on both sides and popper openings at the shoulder. 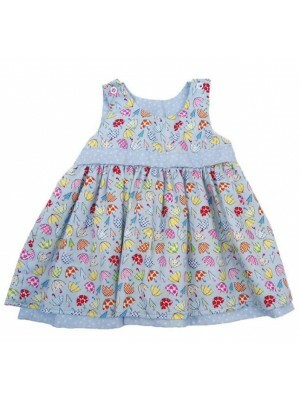 The 3-6m and 6-12m feature t..
A fabulous dress with a definate summer feel to it. A beautiful tropical print on one side and pink flamingos on the other. Perfect holiday dress or just to brighten any day. Features a sash that can be threaded through to..
We love elephants and this little cotton dress has lots of them with a cerise flamingo print on the reverse. Features a sash that can be threaded through to be worn on both sides and popper openings at the shoulder. 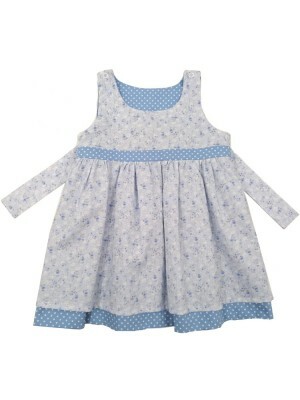 The 3-6m and 6-12..
A beautiful soft blue cotton reversible dress with a floral print on one side and a spot on the other. Featuring a sash that can be threaded through to be worn on both sides and popper openings at the shoulder. The 3-6m and 6-12..
A bright and cheerful summer dress completely reversible and features a sash that can be threaded through to be worn on both sides and popper openings at the shoulder. The 3-6m and 6-12m feature the trim but not the sash. 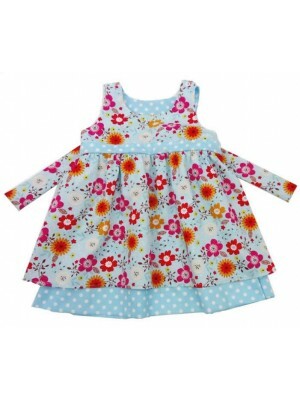 Matches bea..
A fabulous summer pinafore dress with a fun floral print on one side and a turquoise spot on the reverse. Featurings a sash that can be threaded through to be worn on both sides and popper openings at the shoulder. 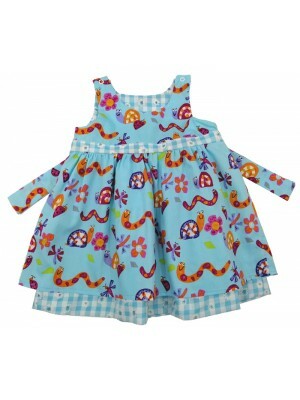 The 3-6m and 6-12m..
A beautiful summer cotton dress with a mass of umbrellas on one side and a pale blue reverse. Featuring a sash that can be threaded through to be worn on both sides and popper openings at the shoulder. The 3-6m and 6-12m feature the t..